You probably have car insurance, house insurance, and health insurance. However, what about disability insurance? Depending on your age and gender, you have between a 12.5% to almost 30% chance of suffering from a disability that lasts at least 90 days. While you may have saved up money for basic needs like food and rent, you probably did not account for lost wages during disability. You can purchase both long-term and short-term disability insurance to cover you in case you suffer from a disabling illness or injury. Once you choose your disability insurance, you can rest assured that you will have adequate financial aid after suffering from a disability. If you have a disability and need help filing an insurance claim or appealing a decision, contact an Indiana long-term disability attorney from Hankey Law Office, today at (800) 520-3633. Do I want short-term or long-term disability coverage? Can I purchase disability insurance through my employer? How long do I want the length of payout to be? Is the policy guaranteed renewable or non-cancelable? Are there any “riders” or policy options? Many people choose to rely on Social Security disability rather than purchasing their own disability insurance. However, it is important to note that Social Security’s average disability payment is about $1,000. With private long-term disability insurance or disability insurance through your employer, you can recover up to 80% of your income after a disability. Frustratingly, even though you may decide to purchase disability insurance, it can still be difficult to get the financial assistance that you need following a debilitating illness or injury. 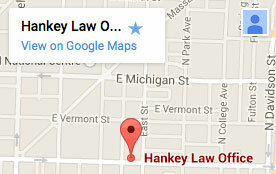 If you need legal help in filing a disability claim or fighting for the compensation that you deserve, you should contact an experienced Indiana long-term disability lawyer from the Hankey Law Office, at (800) 520-3633 today.